← Writer’s Block – Myth or Reality? Why does traditional publishing get so excited about debut novels? I understand that there’s excitement to be had about the next big thing, the new model, latest craze, fresh, original, up to the minute, must have, must read book . . . but it strikes me that unless an author is a one book wonder, the second book will be better than the first and the third book better than the second and so on. For example, Gillian Flynn’s Gone Girl – her third book – is stronger both in concept and execution than her first two novels. In TV, a debut scriptwriter will not be commissioned to write a six part, prime time series on the basis of a solitary spec script. Most script writers work their way up, perhaps doing radio, long running TV series, children’s TV, writing teams, because the more you write the better you get and TV production is expensive – too expensive to gamble on a completely new writer. Unlike book production. On Saturday I did my first signing for my novel, Be My Friend. It was both fascinating and enjoyable meeting readers and talking to them. One of the questions I was repeatedly asked was whether Be My Friend is my first novel. Yes and no. It’s the first novel in the Darkbridge series; it’s the first novel I’ve published, but it’s not the first novel I’ve written, neither is it the first story I’ve crafted. I wrote my first novel at 15 and I’ve been script writing and editing for some time. And I’m getting better. 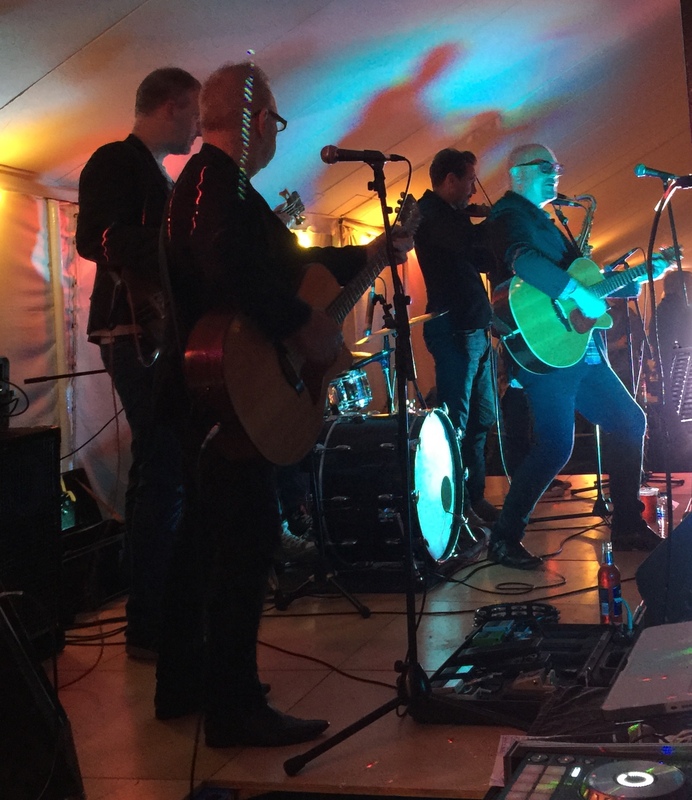 Last night I thought about getting better when I saw a Sheffield band called Acoustic Angels play in a marquee on a village green in Surrey. These guys have been around for a while and they are brilliant. They play covers but make them their own; the band is tight, polished and intuitive to the mood of the audience. In other words, they’re not a debut band. They combine talent, skill and experience. If I hit the big time I’ll have them at a launch party, meanwhile if you get the chance, see them and you’ll understand what I mean and what I seek to achieve. Talent, skill and experience – and getting better at what I do. This entry was posted in Art, Novel, Publishing, Writing and tagged Acoustic Angels, Be My Friend, Darkbridge, writing. Bookmark the permalink.